It is with great pleasure that we announce to the community the addition of Team Reflex [RFLX] to Team Legion's roster. 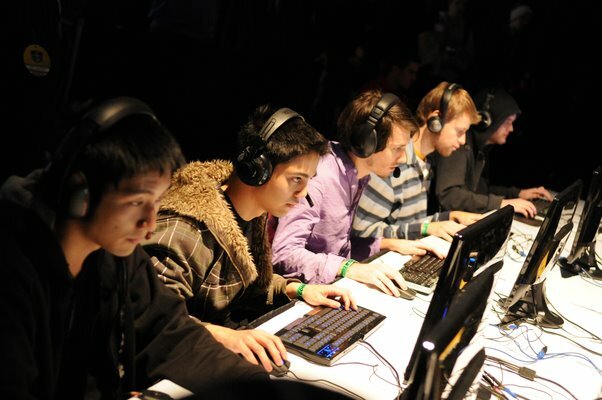 From large LAN tournaments like MLG, to online tournaments like NESL, IPL, CSN, itsGosu, Plantronics, and AlienWare Team RFLX has collected a pedigree of 1st place finishes in League of Legends. As a top team in Season 2 they are already invite status to most tournaments and regularly featured in interviews, live casts, and show matches. Former RFLX manager John 'Reaper' Lankford will be stepping up as co-owner of Team Legion. Over the next few months we will be integrating into a single website with a brand new design and innovative media features. With these new developments, RFLX and Legion management will be working together toward the goal of funding a team house for all of our players. We are very happy to add RFLX to our roster, as they have shown impressive play in League Of Legends within a very short time frame. Our progress in Starcraft 2 and the generous support of our sponsors have encouraged us to expand our roster to other games. With this addition, I am confident that our goal of funding a team house will be reached. Team RFLX is very happy to announce its merger and new friendship with Team Legion. With our presence in League Of Legends, and Team Legion's presence in StarCraft, we are looking forward to the future this organization will bring to all involved. You can follow Team Legion on twitter here. Awesome guys! Futures looking bright for LgN! B-O-double S-K! Press play for the rock! Press pause for applause! Shouldn't this be in the LoL forum? This is an LoL team? Shouldn't really be in SC2 general..might want to request it be moved to the LoL forum. I have PM'ed a request to admins. This thread was originally moved by admins to the Starcraft 2 forum, but this is indeed the wrong location. EDIT: Thread moved to correct location. Thanks admins! Congrats to PR0LLY and crew. Though I'm surprised Valkrin didn't make the cut. Watch LgN PR0LLY Stream some 2300+ elo solo que live now with commentary, and please follow for the future.